1. Classic: Whisk 3/4 cup mayonnaise, 1/4 cup sour cream, 3 tablespoons cider vinegar, 1 teaspoon sugar and 1/2 teaspoon kosher salt. Toss with 1/2 head shredded green cabbage and 2 shredded carrots. 2. Blue Cheese–Herb: Make Classic Slaw (No. 1), adding 1 cup crumbled blue cheese and 1/4 cup each chopped parsley and chives. 3. Buffalo: Make Classic Slaw (No. 1), adding 2 to 4 tablespoons hot sauce and 1 cup each thinly sliced celery and crumbled blue cheese. 4. Curry: Make Classic Slaw (No. 1), substituting Greek yogurt for the sour cream and adding 1/4 cup mango chutney and 1 tablespoon curry powder to the dressing. Add 1 thinly sliced red bell pepper, 1/2 cup raisins and 1/4 cup chopped cilantro. 5. Russian: Soak 1/2 cup sliced red onion in cold water, 15 minutes; drain. Make Classic Slaw (No. 1), substituting sweet chili sauce for the sour cream and adding 1/4 cup each sweet pickle relish and chopped parsley; stir in the onion. 6. Waldorf: Make Classic Slaw (No. 1), substituting 3/4 cup each chopped apple and celery for the carrots. Add 1/2 cup chopped toasted walnuts. 7. 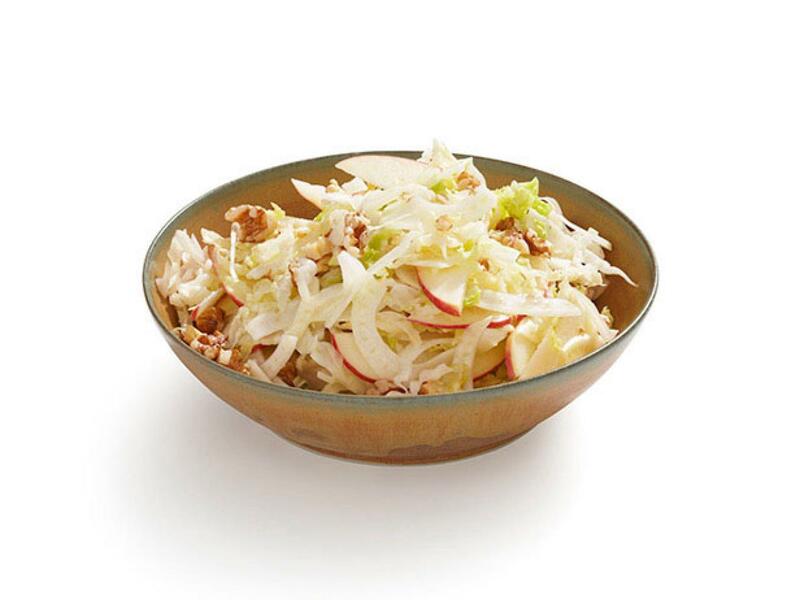 Kohlrabi-Apple: Make the dressing for Classic Slaw (No. 1), adding 3 tablespoons horseradish, 1 tablespoon grainy mustard and an extra 1 teaspoon sugar. 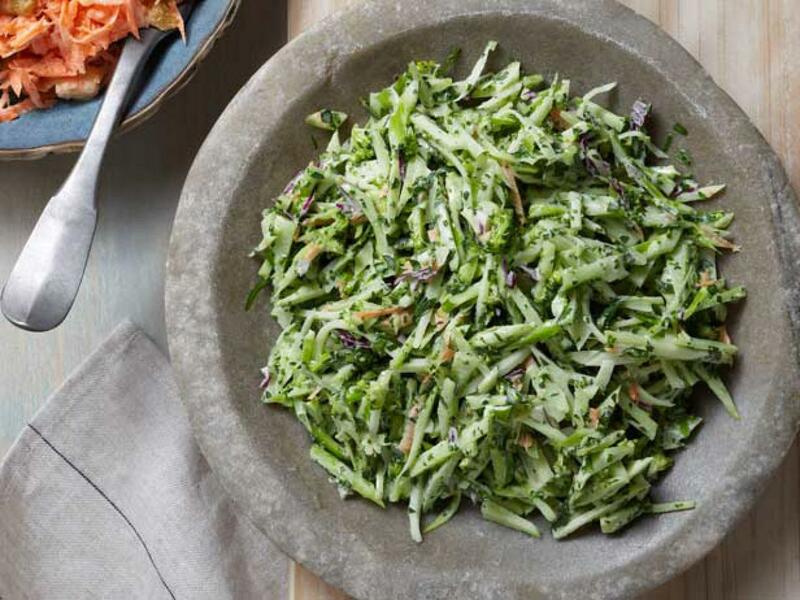 Toss with 1/4 head shredded green cabbage, 2 each julienned kohlrabi and apples, and 1/4 cup chopped dill. 8. Grape-Pecan: Make Classic Slaw (No. 1) with red cabbage. Toss in 1 cup halved red grapes, 1/2 cup chopped toasted pecans and 1/4 cup chopped chives. 9. Barbecue Chicken: Make Classic Slaw (No. 1); stir in 1/3 cup barbecue sauce, 2 cups shredded cooked chicken and 2 chopped scallions. 10. Cajun: Make the dressing for Classic Slaw (No. 1), adding 2 tablespoons Creole mustard and 2 teaspoons Cajun seasoning. Toss with 1/2 head shredded green cabbage, 2 shredded carrots, 1 cup each julienned celery and bell pepper, and 2 chopped scallions. 11. 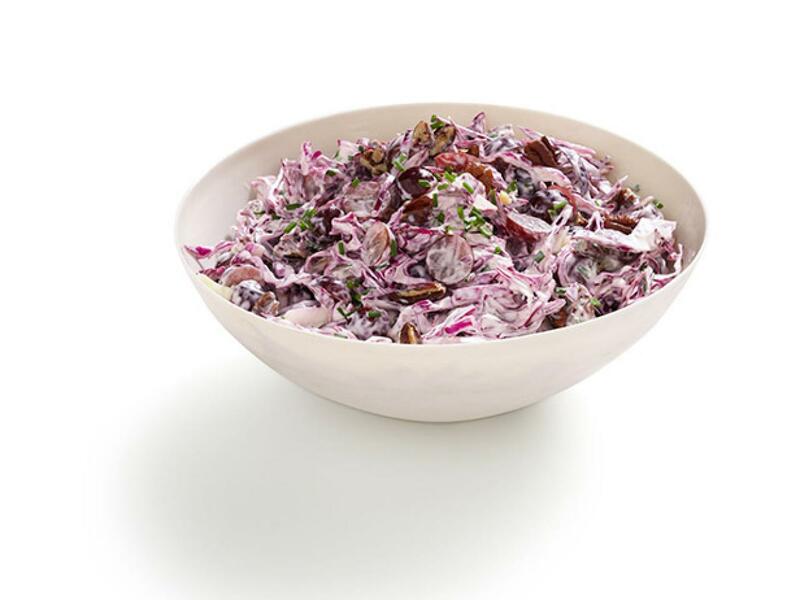 Chipotle: Make Classic Slaw (No. 1), whisking 2 tablespoons puréed chipotles in adobo into the dressing; omit the carrots. 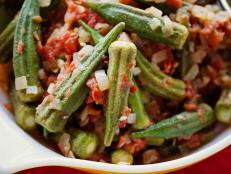 Toss in 1/4 cup chopped cilantro and 1 cup each thinly sliced red bell pepper, jicama and scallions. 12. Crispy: Toss 1/2 head shredded green cabbage with 1 tablespoon kosher salt in a colander; let sit 4 hours, then rinse and dry well. Make the dressing for Classic Slaw (No. 1); toss with the cabbage. 13. Carrot-Pineapple: Whisk 1/2 cup each mayonnaise and sour cream, 2 tablespoons each lemon juice and sugar, and 1 teaspoon kosher salt. Add 12 shredded carrots, 1 cup each raisins and diced pineapple and 1/4 cup chopped chives. 14. Kale: Whisk 1/4 cup lemon juice, 1 tablespoon dijon mustard, 1 tablespoon sugar, 1 teaspoon kosher salt and 1/3 cup olive oil. 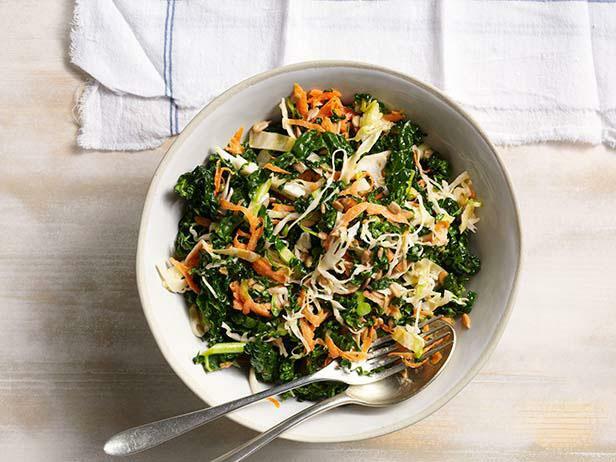 Add 5 cups each shredded green cabbage and Tuscan kale, 2 shredded carrots and 1/2 cup toasted sunflower seeds. 15. Light: Whisk 1/2 cup each low-fat mayonnaise and Greek yogurt, 3 tablespoons each cider vinegar and milk, 1 tablespoon dijon mustard, 1 teaspoon sugar, and salt to taste. 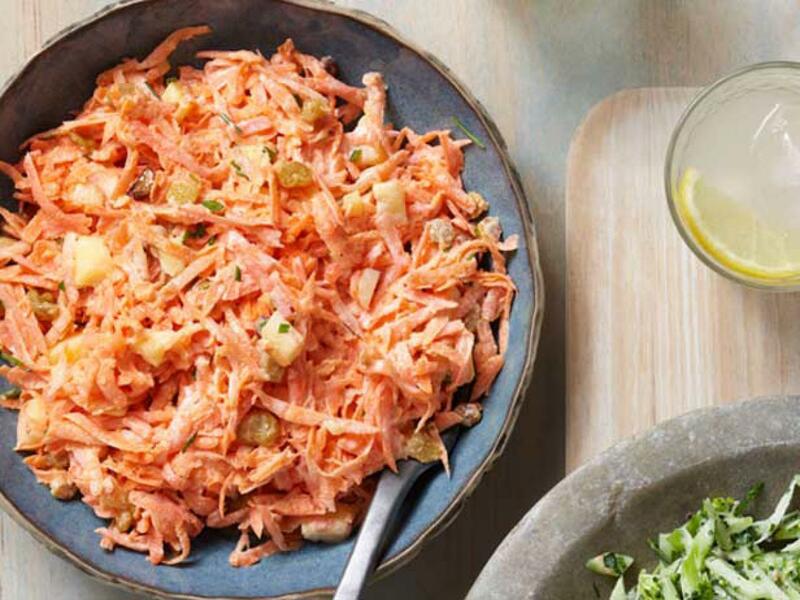 Toss with 1/2 head shredded green cabbage, 1 shredded carrot and 1/4 cup chopped dill. 16. Broccoli-Ranch: Whisk 1/2 cup buttermilk, 1/4 cup each mayonnaise and sour cream, 3 tablespoons cider vinegar, 1 tablespoon sugar and 1 teaspoon kosher salt. Toss with two 12-ounce bags broccoli slaw and 1/4 cup each chopped parsley, chives and dill. 17. Thai: Purée 1/2 cup peanut butter, 1/3 cup rice vinegar, the juice of 2 limes and 1 tablespoon each grated ginger and soy sauce. 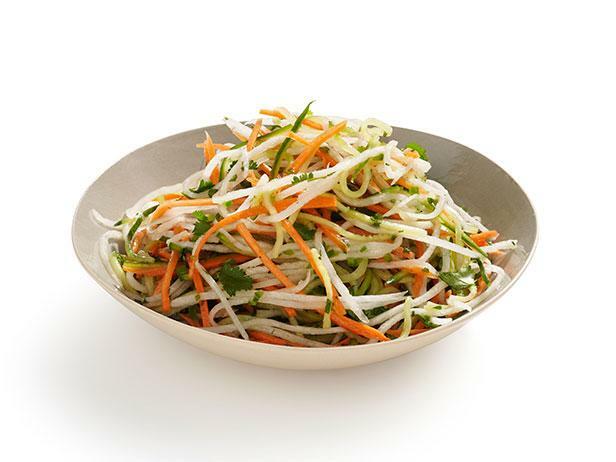 Toss with 1/4 head shredded napa cabbage, 8 shredded carrots and 1/2 cup each chopped cilantro, scallions and peanuts. 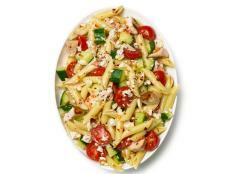 18. Pepper: Soak 1 thinly sliced red onion in cold water, 15 minutes; drain. Whisk 2 tablespoons cider vinegar, 1 1/2 teaspoons sugar, 1/2 teaspoon chopped thyme and 1/4 cup olive oil. Toss with 1 thinly sliced poblano, 4 sliced assorted bell peppers, the onion, 1/2 teaspoon kosher salt, and pepper to taste. 19. Hot-Dressed: Pulse 1/2 head roughly chopped green cabbage and 3 carrots in a food processor until finely chopped. Boil 1/4 cup cider vinegar, 2/3 cup vegetable oil, 2 tablespoons sugar, 2 teaspoons kosher salt and 1 teaspoon each mustard powder and celery seed, 1 minute. Pour the dressing over the vegetables. 20. Apple-Fennel: Toss 1/2 head shredded Savoy cabbage with 1 tablespoon kosher salt in a colander; let sit 1 hour, then rinse and dry well. Toss with 1/4 cup each vegetable oil, walnut oil and cider vinegar, 2 1/2 teaspoons sugar and 1 1/2 tablespoons dijon mustard. Add 1 each thinly sliced fennel bulb and apple, and 3/4 cup chopped walnuts. 21. Creamy: Make Hot-Dressed Slaw (No. 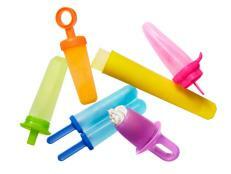 19) and let cool. Stir in 1/2 cup mayonnaise. 22. Green Goddess: Purée 1/2 cup each parsley and chives, 1/3 cup each buttermilk, olive oil and mayonnaise, 2 tablespoons each tarragon and lemon juice, and 2 anchovies. Toss with two 12-ounce bags broccoli slaw. 23. Korean: Purée 1/2 cup kimchi, 3 tablespoons each vegetable oil and rice vinegar, 2 tablespoons soy sauce, 4 teaspoons sesame oil and 2 teaspoons sugar. Toss with 1/4 head shredded napa cabbage, 3 julienned Asian pears, 1 thinly sliced cucumber and 1/2 cup chopped kimchi. Top with sesame seeds. 24. Caesar: Toss 1/2 head shredded Savoy cabbage with 1 tablespoon kosher salt in a colander; let sit 1 hour, then rinse and dry well. 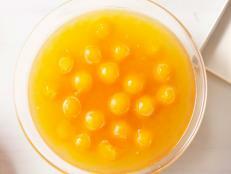 Purée 1/2 cup olive oil, 1/4 cup lemon juice, 4 anchovies and 1/4 teaspoon honey. Toss with the cabbage and some crumbled croutons. 25. Basic Vinaigrette: Whisk 1/2 cup white wine vinegar, 2/3 cup olive oil, 1 tablespoon kosher salt and 2 tablespoons sugar. Toss with 1/2 head each shredded red and green cabbage and 4 shredded carrots. 26. 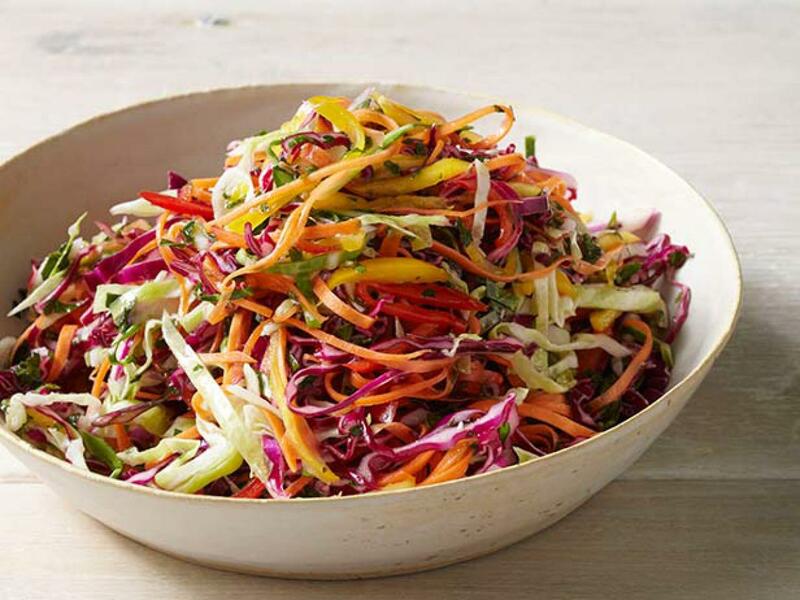 Confetti: Make the dressing for Basic Vinaigrette Slaw (No. 25). Toss with 1/4 head each shredded red and green cabbage, 3 shredded carrots, 2 thinly sliced bell peppers and 1/2 cup chopped parsley. 27. 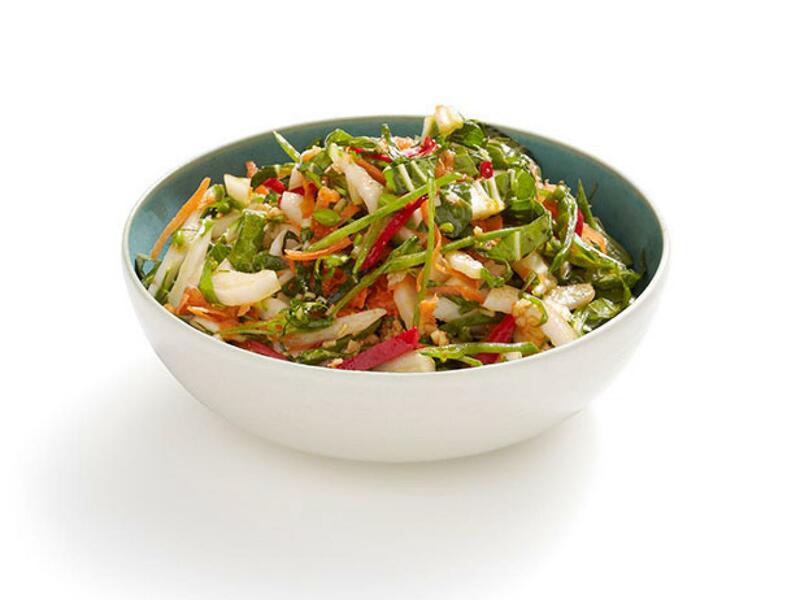 Herb: Make Basic Vinaigrette Slaw (No. 25), adding 2 tablespoons each chopped parsley, dill, chives and tarragon. 28. Beet: Whisk 1/3 cup balsamic vinegar, 2 teaspoons kosher salt, 1 teaspoon honey and 1/2 cup olive oil. Toss with 1/4 head shredded red cabbage and 4 cups peeled and shredded raw beets. 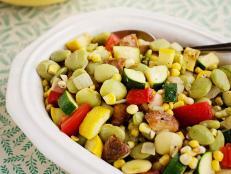 Top with chopped pistachios. 29. Jicama: Whisk 3 tablespoons lime juice, 1 1/2 teaspoons ancho chile powder, 1/4 teaspoon cayenne pepper and 1/4 cup vegetable oil. Toss with 1 large julienned jicama, 1 cup diced pineapple, 1/2 julienned English cucumber, 1/2 thinly sliced red onion and 1/4 cup chopped cilantro. 30. Mediterranean: Whisk 1/3 cup each yogurt and tahini with 3 tablespoons lemon juice, 1 teaspoon honey, 1 minced garlic clove and a few dashes of hot sauce. Toss with 1/2 head shredded red cabbage, 2 shredded carrots and 1 each thinly sliced Persian cucumber and red bell pepper. 31. Turnip-Bacon: Cook 4 slices bacon until crisp; crumble. Whisk 2 tablespoons each of the bacon drippings, vegetable oil, cider vinegar and grainy mustard; whisk in 1 teaspoon celery seeds and 1/3 cup sour cream. 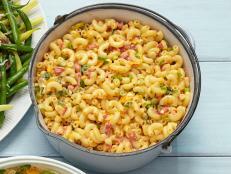 Toss with 6 cups julienned turnips, 3 cups shredded green cabbage, 1/4 cup chopped parsley and the crumbled bacon. 32. Grape–Goat Cheese: Whisk 1/2 cup olive oil, 2 tablespoons each dijon mustard, honey and white wine vinegar, and 1/2 teaspoon kosher salt. Add 1/2 head roughly chopped napa cabbage, 1/2 cup grapes, 1/4 cup crumbled goat cheese and 1/4 cup chopped toasted hazelnuts. Sprinkle with chopped chives. 33. 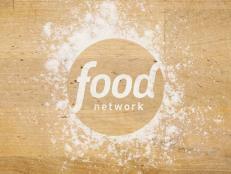 Vietnamese: Whisk 1/3 cup white vinegar, 2 1/2 tablespoons sugar and 1/3 cup vegetable oil. Toss with 3 cups each julienned daikon and carrots, 2 cups julienned English cucumber, 1 minced jalapeño and 1/4 cup each chopped mint and cilantro. 34. Dijon: Whisk 1/4 cup cider vinegar, 2 tablespoons dijon mustard, 1 tablespoon each sugar and kosher salt, and 2/3 cup olive oil. Toss with 1/2 head shredded green cabbage, 1/4 head shredded red cabbage, 2 shredded carrots and 2 sliced scallions. 35. Chicago: Make Dijon Slaw (No. 34), swapping yellow mustard for the dijon. 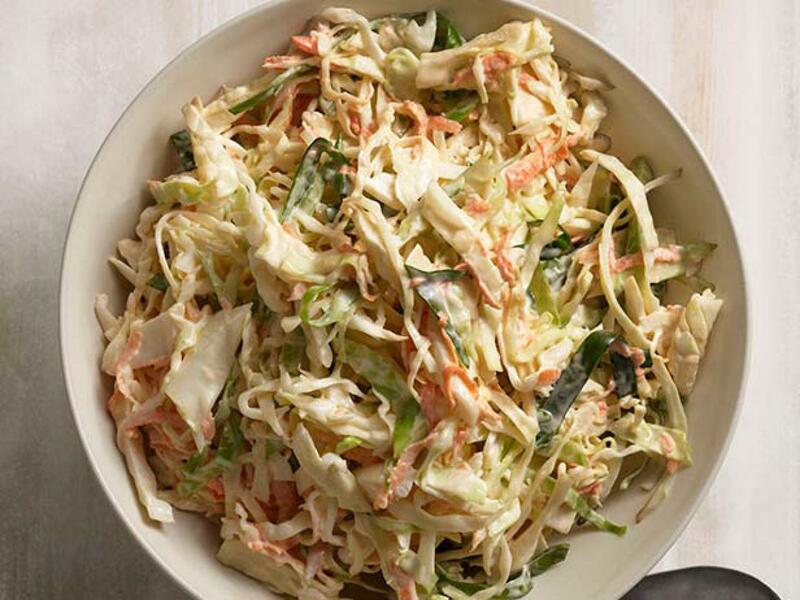 Toss with 1/2 head shredded green cabbage, 2 shredded carrots, 1/2 cup each sweet pickle relish and chopped pickled sport peppers, and 2 teaspoons celery seeds. 36. Honey-Mustard: Make Dijon Slaw (No. 34), swapping honey mustard for the dijon mustard and omitting the sugar. Add 2 julienned apples, 1/2 cup toasted sliced almonds, and honey to taste. 37. Ham and Egg: Make Dijon Slaw (No. 34), adding 1/4 pound diced ham and 2 chopped hard-cooked eggs. 38. Celery Root: Whisk 3/4 cup mayonnaise, 1/4 cup sour cream, the juice of 2 lemons, 2 tablespoons dijon mustard, 1 teaspoon sugar and 1/2 teaspoon kosher salt. 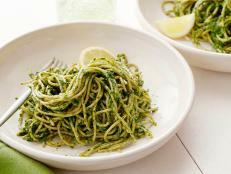 Toss with 1/4 head shredded green cabbage, 4 cups shredded celery root and 1/4 cup chopped parsley. 39. Brussels Sprout: Cook 4 slices bacon until crisp; crumble. Whisk 2 tablespoons each of the bacon drippings, olive oil and maple syrup with 1/3 cup sherry vinegar. Toss with 6 cups shredded Brussels sprouts, 1 thinly sliced shallot, the bacon, and salt and pepper to taste. 40. Cobb: Purée 1 avocado, 1/3 cup each lemon juice, olive oil and water, and 1/2 teaspoon kosher salt. Toss with 1/2 large head shredded green cabbage, 1 cup each diced tomato and crumbled blue cheese, and 3 chopped hard-cooked eggs. Top with 1/2 cup crumbled cooked bacon. 41. Southwestern: Toss 3 cups each shredded red and green cabbage with 1 tablespoon kosher salt in a colander; let sit 1 hour, then rinse and dry well. 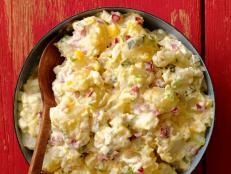 Make the dressing for Cobb Slaw (No. 40); toss with the cabbage, 1 cup corn, 1 thinly sliced poblano and 1 small bunch chopped scallions. 42. Wasabi–Snow Pea: Whisk 1 cup mayonnaise, 2 teaspoons each wasabi paste and rice vinegar, and 1 teaspoon each sugar and kosher salt. Toss with 1/2 head shredded napa cabbage, 2 cups thinly sliced snow peas and 2 teaspoons sesame seeds. 43. Asparagus: Whisk 1/4 cup lemon juice, 1 tablespoon dijon mustard, 2 teaspoons sugar and 1/2 cup olive oil. Toss with 1/2 head shredded napa cabbage, 1 pound thinly sliced asparagus, 2 thinly sliced shallots and 1 cup shaved Parmesan. 44. Soy-Ginger: Whisk 1/3 cup rice vinegar, 3 tablespoons each soy sauce and orange juice, 1 tablespoon each sugar and grated ginger, 1 teaspoon sesame oil and 1/2 cup vegetable oil. Toss with 1/2 head shredded napa cabbage, 2 shredded carrots, 1 cup thinly sliced snow peas and 2 thinly sliced Fresno chiles. 45. Spicy Bok Choy: Make Soy-Ginger Slaw (No. 44), using 9 cups thinly sliced bok choy instead of the cabbage. Add 2 tablespoons Sriracha to the dressing. 46. Ramen-Ginger: Make Soy-Ginger Slaw (No. 44), omitting the chiles and adding 2 each shredded carrots and thinly sliced red bell peppers. Add 2 cups crumbled raw ramen noodles and 1/4 cup roughly chopped scallions. 47. Zucchini-Mozzarella: Whisk together 1/4 cup red wine vinegar, 1 tablespoon dijon mustard, 1 teaspoon kosher salt and 1/3 cup olive oil. Toss 3 shredded zucchini, 1 cup each julienned tomato and fresh mozzarella and 1/2 cup shredded basil with the dressing. Top with some toasted pine nuts. 48. 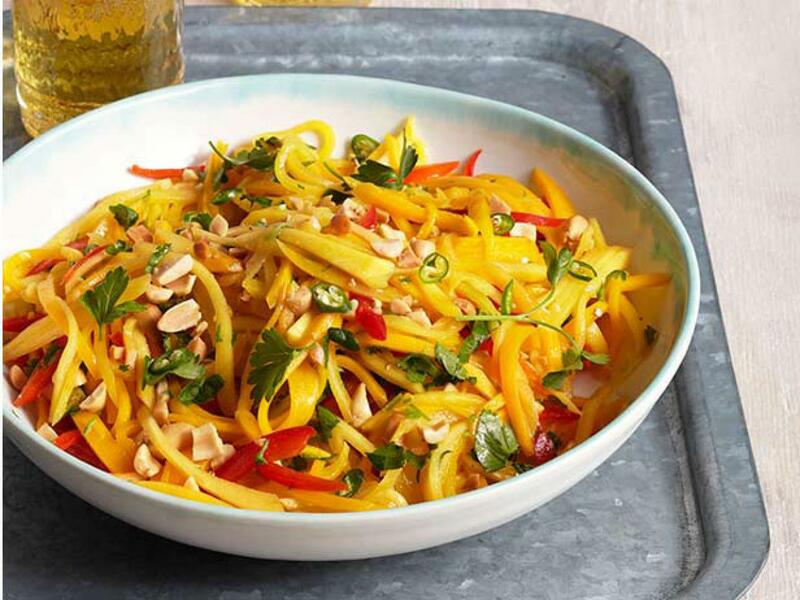 Green Papaya–Peanut: Whisk together 3 tablespoons fish sauce, 1/4 cup each lime juice and vegetable oil, 1 teaspoon kosher salt and 2 sliced Thai bird chiles. Toss 6 cups julienned green papaya, 1 large julienned red bell pepper and 1/2 cup each chopped cilantro and peanuts with the dressing. 49. Mango-Peanut: Make Green Papaya–Peanut Slaw (No. 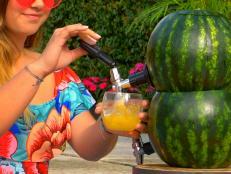 48), omitting the salt and substituting julienned firm mango for the papaya. 50. Fennel-Orange: Soak 1 cup thinly sliced red onion in cold water, 15 minutes; drain. Whisk 1/4 cup champagne vinegar, 2 tablespoons grainy mustard, 1 tablespoon kosher salt, 1 1/2 teaspoons sugar and 2/3 cup olive oil. Toss the dressing with 5 cups each julienned fennel and shredded green cabbage. Toss in the red onion and the segments from 2 oranges.